This speed pitching will take place the evening before the start of the 4KSummit, on Tuesday 7th of November, in the Digital Content Hub. 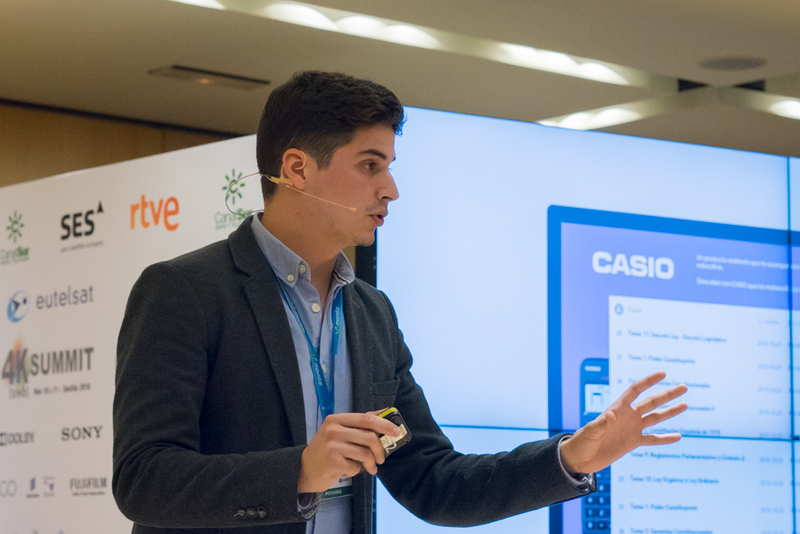 Registration to participate in this pitch session will be free (pitching@medinamedia.es) and interested parties must register their ideas before November 2nd. The selected candidates will be informed on Friday November 3, and they will also have the option to attend for free to the first day of the 4KSummit17, which will be inaugurated by the president of Telefónica, Luis Miguel Gilpérez. Participation is open to producers, entrepreneurs, students and professionals in general who have ideas and projects related to Digital Content. Each candidate will have a maximum of 5 minutes to present their idea / project. They will answer for 2 minutes to the questions asked by the members of the jury. There will be two types of participants in this speed pitching: Students from the University of Malaga and Entrepreneurs / independent professionals. They will present projects / ideas / audiovisual formats for millenials in which Ultra High Definition (UHD) will provide an add value. Currently, the need for Ultra High Definition (UHD) content is a demand of the audiovisual market worldwide. In addition, producers of traditional content seek to reach young people with new products,as they have have stopped consuming conventional television audiovisual products. But, at the same time, young people spend more and more time consuming audiovisual content through other devices (mobile phones and tablets, especially). Content producers are desperately searching for fresh ideas, projects and formats that can meet the consumption needs of the young people. In the case of entrepreneurs / independent professionals, the 4KSummit’s pitch session is an opportunity for professionals and independent entrepreneurs to present their ideas of programs / formats / series to content managers and professional producers that can help them make their dreams come true These are projects in an embryonic phase, but developed, in which the candidates need a business guide from start to finish to carry out their project. The projects must be aimed at millenials and designed to be produced in UHD. The idea is that candidates can join a production company to be part of the team that develops it, and participate in its production and realization, but under the structure of a consolidated company that bets on their project. Like in previous years, the pitch jury will be composed of CEOs, senior executives, consultants, investors and mentors. 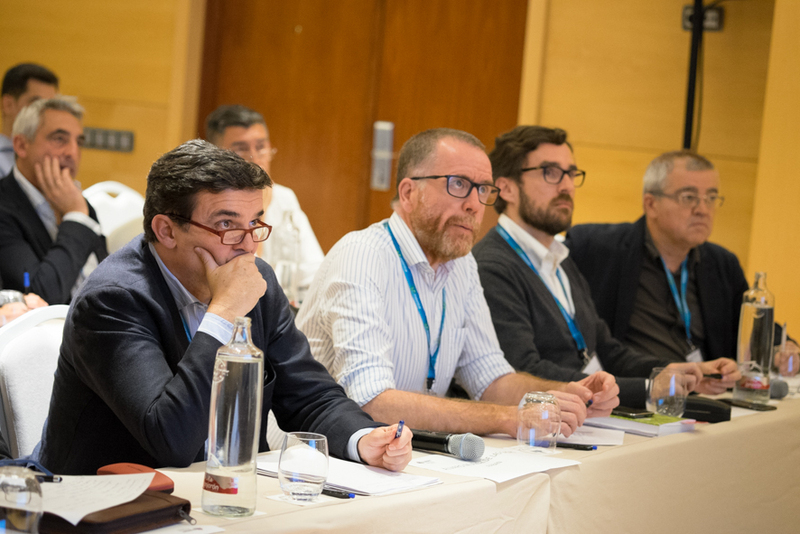 In the first two editions of the 4KSummit, celebrated in Seville, Medina Media organized two sessions of speed pitching, and in this third edition iot also incorporates market, aimed at Producers / Producing companies / audiovisual companies/ professionals. The first companies that have developed 4K productions, which already ready for sale or in pre-production process, have signed in to take advantage of the presence of these senior executives in the capital of the Costa del Sol. “The goal is that Spanish producers and professionals make the most out of the opportunity of having the best Ultra High Definition Technology and Content managers in the world in Malaga by offering them their ideas and projects without leaving home,” assured Ricardo Medina, CEO of Medina Media, the producing company that organises the 4KSummit. Also on Tuesday 7th November afternoon, prior to the speed pitching, RTVE Digital will offer a presentation on Digital Transformation, titled ‘RTVE Digital: Audiovisual transformation of the media’ The presentation will be led by Javier Gómez, Innovation and Strategy Deputy Director of RTVE Digital; and Francisco Palma, RTVE Digital E-Sports coordinator. This presentation has already been offered in several universities such as the Rey Juan Carlos I University. In it, RTVE Digital presents the current situation of the digital sphere and the strategy followed by them to face it.